Sword and Sorcery is a genre of action, adventure and magic. Readers expect heroes and villains who can accomplish feats of amazing physical and supernatural abilities. For a novel to be considered Sword and Sorcery, it requires conflict that will be resolved by the use of blades and magic. Therefore the setting must be in an actual or alternate time period before the use of gunpowder, unless gunpowder is being used as a sort of combustible magic potion rather than in guns. There are obvious similarities between Sword and Sorcery and Epic Fantasy. So, what’s the difference? Epic Fantasy usually involves a high stake quest that will either save or destroy the world. Sword and Sorcery involves smaller quests, such as rescuing a kidnapped prince or retrieving a lost treasure. A kingdom can be at stake, and sometimes a whole world, but the protagonist is primarily concerned with her personal quest. A common trope for the genre is bulky, heroic swordsman versus slinky, devious sorceress. While there are books along those lines, there are many others that deviate from that tired stereotype. Even Robert E. Howard, creator of the Conan series, liked strong, heroic swordswomen, such as his characters Red Sonya and Agnes de Chastillon. Sword and Sorcery books featuring strong female protagonists include the Tiger and Del series and many of the books by Tamora Pierce. The antihero is a common protagonist in this genre, which makes sense since the stakes are personal rather than universal. This type of character may do good despite himself, but will also walk away after causing a lot of harm. Sword and Sorcery antiheroes include Elric of Melniboné, Corwin of Amber, and Magiere of the Noble Dead Saga. 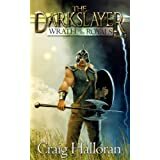 Interested in reading Sword and Sorcery? I don’t blame you. It’s fun stuff! Popular authors include Lynn Flewelling, Terry Goodkind, Poul Anderson, C. L. Moore and R. A. Salvatore. Below you’ll find a few free-for-now Kindle books to give you a taste for the genre. Among these includes “Stone of Tears,” the second in Terry Goodkind’s Sword of the Truth series. I checked and the first book isn’t free. With Darken Rahl defeated, Richard and Kahlan head back to the Mud People to be married. 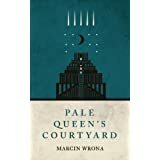 As they wait for their wedding day to approach, they discover three Sisters of Light are pursuing Richard, intending to take him back to the Old World to be trained as a Wizard. Additionally, unbeknownst to Richard and Kahlan, the veil has been torn and the Stone of Tears has entered the world. According to prophecy, the only person who has a chance at closing the veil is the one bonded to the blade, the one born true. There are many cities in the world of Ryallon that know the touch of despair and evil, but none like Dralin. Towers of wizards rise high into the air, shrouded in the mists of magical smog. Poor sleep in the alleyways, becoming deformed by pollution. Life is short for many. Throughout all of it, the cunning and dangerous members of the City Guard do their best to keep evil and crime from destroying the citizens of Dralin. Trained to fight in streets that make no sense, they keep wickedness from taking over completely. 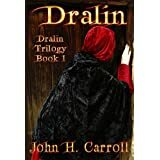 A young woman fleeing her past makes Dralin her destination. A young Guardsman with his own dark history hopes to make a difference in a city that is without hope. Are sorrow and despair their only destiny, or can love redeem them? Two young girls raised in this city learn life’s hard lessons early. Will they be defeated by its evil? Kamvar, a soldier, has lost his way. Leonine, a thief and sorcerer, has forgotten that he had one to lose. When the daughter of a High Priest finds herself exiled and hunted across the entirety of conquered Ekka, both men will remember who they are, and the country’s invaders will learn that memories, unlike temples, are not so easily torn down. When recklessness provokes a Royal household, Venir and his friend Melegal the thief are forced to flee the city. In pursuit, the Royals soon unleash some unusual powers against them and start to close in. Can Venir and Melegal survive the impending doom that is about to befall them? Only Bish knows, but Venir has been secretly keeping evil forces at bay for years. He is the Darkslayer, a man possessed by a mantle of power he cannot let go. 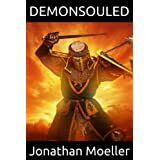 This entry was posted in Free eBooks, Genre and tagged Books, Fiction, Free, genre, genre fiction, Kindle, Sword and Sorcery, Swords and Sorcery, Writing by Lori Saltis. Bookmark the permalink.